Plan and track overhead costs within the company's specific organizational structure. Track costs related to specific projects or events and either capitalize those costs or charge them to appropriate departments upon completion. 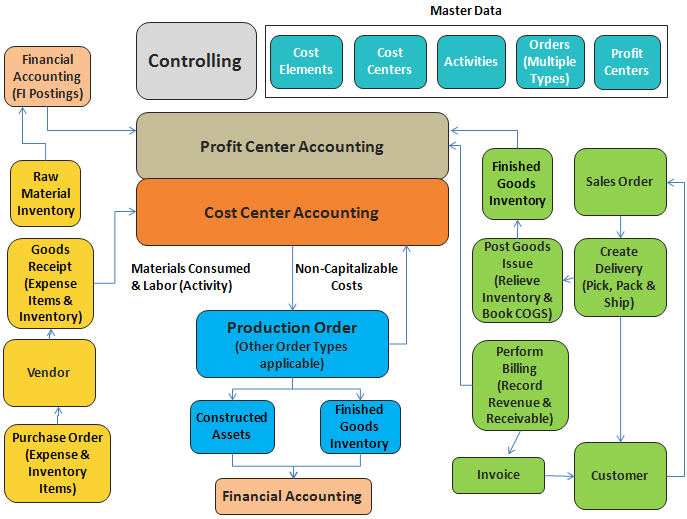 Perform Product Costing, measuring production cost and variances. Report profitability by product line, division, or other internal measurement. Report sales and gross profitability by external measures such as market segments or customer groups.